Happy Frothy Friday! I found another fabulous coffee drink to share with you! This one is from the Food Network. ....Once again...I'm going easy on you. The ingredients are simple and I don't think you'll even have to make a trip to the store. Now you're probably thinking "cold drink during cold weather...No Thank you". I understand. That would be crazy talk. 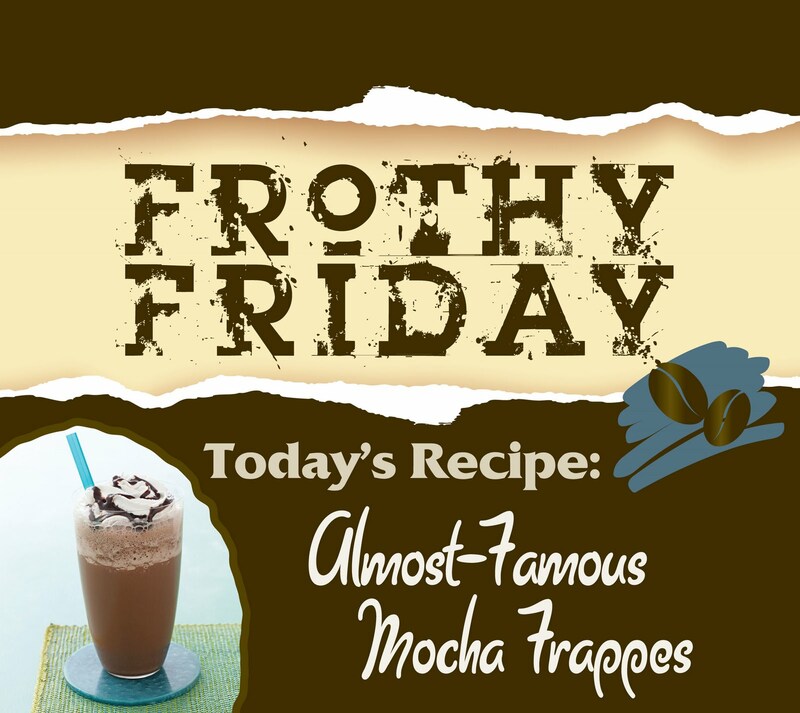 ....So I suggest you throw some logs in the fireplace.... grab a blanket, a good movie, and then drink this Almost Famous Mocha Frappe! It will be the perfect combo for some nice, cozy, relaxation.